LoFastudy English Online Tutorial Service, Inc.
Level 1 Beginner- Students who only know the basics of the English language. 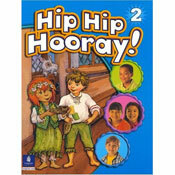 Hip Hip Hooray 1-3 are books designed for Level 1-A English-learner students with focus on the basic learning experiences. The classic story lines of the books make learning fun. 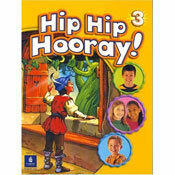 The books include Story Characters-encourage interactive role-playing; Songs and Chants-motivate students;Grammar and Vocabulary- build key language; Phonics- helps students to recognize letters and sounds; Practice Pages- provide listening, speaking, and writing practice; and Games- review key language and develop confidence. 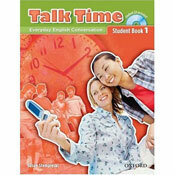 Talk Time 1- 3 are for Level 1-B/ Teens/Adults English-learners students. 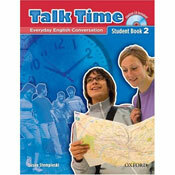 Each unit of the books is devided into two lessons wherein on the first page of each lesson, there are sections on Speaking- gives the student a chance to practice a new vocabulary, listen to the CD, and look at the given pictures, then practice using the new words; Listening- the student listens to the vocabulary in short conversations and answer some questions; and on the second page of the lesson, there are these sections- Grammar- for the student to learn the use of words in correct sentence and Conversation-lets the student practice the vocabulary and grammar of the lesson in a large context.The books also include Memo, Helpful language, Extra, and Check Your English Sections that help further the student’s learning. Time Frame: This varies from one student to another depen-ding on the number of hours they spend on a par-ticular day they like to have their classes. Some may like to have their class at Mondays thru Fridays, while others like the T-Th or the MWF schedule or even have the class on Saturday. As long as they finish the three books de-signed for their levels, and show improvement, they are ready for the next level. Level 2 Low- Intermediate- Students who have introduced themselves the basics of the English language and learn some vocabularies. 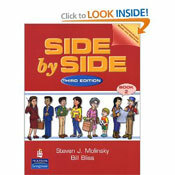 New Children’s Talk 1-3 are books designed for Level 2-A English-learner students with the aim of making the class not boring for the students by using more interesting and meaningful topics that would led the students experience effective communication skills, including how to listen, how to think, and how to respond. 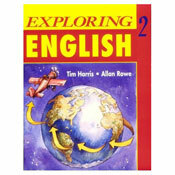 These books contain Part 1- Picture Description- allows the, the students to recognize the given pictures and their uses; Part 2- Questions and Answers-lets the students comprehend the given questions and at the same time answer them with correct sentences; Part 3- Let’s Practice Making Questions- helps the students make their own questions guided by the given ones, and Part 4- Read and Talk- provides the students opportunity to read and express their ideas about a certain topic. 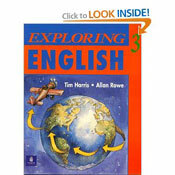 Exploring English 1- 3 are for Level 1-B English-learners students. 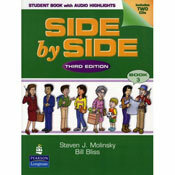 These books have eight chapters with 3 sections- Topics, Grammar, and Functions that cater the four language skills listening, speaking, reading, and writing- with an emphasis on oral communication. At this course, the students are expected to incorporate problem-solving and critical thinking in many of the lessons, share their personal expressions which are imortant to them, and be exposed to the key structures that they will be learning at the next level. Other Reference : Basic Grammar In Use (2nd Edition) by Raymond Murphy with William Smalzer- contains 116 units where each unit says about a different point of English grammar which is very helpful for an English-learner students. Time Frame: This varies from one student to another depending on the number of hours they spend on a particular day they like to have their classes. Some may like to have their class at Mondays thru Fridays, while others like the T-Th or the MWF schedule or even have the class on Saturday. As long as they finish the three books designed for their levels, and show improvement, they are ready for the next level. Level 3 Middle- Intermediate– Students who have exposed themselves to the English language and now improving in the widening of the vocabularies making them able to make correct sentences. words. The How about You section helps students to express their opinions. And for further learning, How to Say It section practices the students to apply the new lesson. Interchange 1- 3 are for Level 1-B English-learners students with the purpose of helping the students to become more confident learners of the English language. 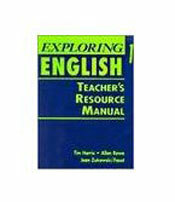 The books contain 16 units divided into sections- The Snapshot-introduces the unit’s topic with real-world information; The Word Power- presents new vocabulary; Persectives- uses people’s opinions and experiences about a topic to present new grammar to be practiced on the next section, the Grammar Focus. The last section, The Pronunciation Exercises help them sound like a speaker of the language. Level 4 High- Intermediate– Students who can use the vocabularies learned in a good oral and written English with minor mistakes. 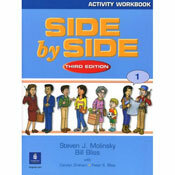 All Star 1-3 are books designed for Level 4-A English-learner students. The books used to maximize accessibility and flexibility. These are desinged for the students to have deeper knowledge of the English language through varied learning activities that include Vocabulary in Action, .Talk About It, Reading and Writing, Conversation, Application, Review and Assessment,andGrammar or Writing Spotlight. The books feature a picture-dictionary approach to vocabulary building. 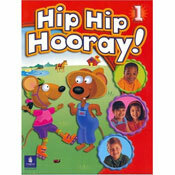 “Big Picture” scenes in each unit provide springboards to a wealth of activities developing all of the language skills. 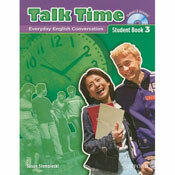 Express Yourself 1-2 and given articles are for Level 4-B English-learners students. The two books contain articles relevant to daily lives. Questions are given to help the learners develop their critical skill and help them practice constructing sentences, longer and better ones. Thearticles (1-50) are taken from the Teen Times which provide varied and interesting topics for the students to their reading skill development and oral skill.